Hello everyone, again I am back with a useful article for you guys. Just a week before i.e. on last Saturday I bought my new cell phone iPhone4 from flipcart. Isn’t that cool enough..!! Now the main thing which I required to do on the primary stage was to transfer my contacts to my iPhone. I asked out many of my iPhone user friends but they denied saying that the contacts won’t be imported. Well, on the first place I didn’t believed them and tried out GOOGL-ING out things and woooppiiee I got the solution. Today I am going to share the same with you all. 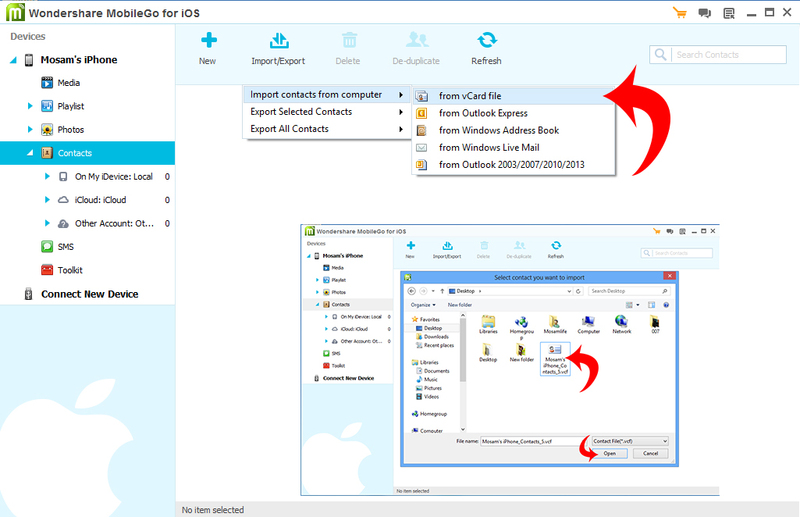 To quickly import vCard information to iPhone, you need to use a third-party software called Wondershare MobileGo for iOS. With this software, you neither need to connect with your e-mail nor use iTunes. Instead, you can straight achieve it at one time. To begin with, download this software to your computer and install it. Once completing installing , you need to run it. Connect your iPhone with pc via a USB cable. This software will identify your iphone automatically. Note: you must have install iTunes on your computer before using Wondershare MobileGo for iOS. So this is all about how you can import your contacts into your iPhone within 2 steps. I hope you will find them useful enough. Hey great post and great work by you, It provides a great information. Helped me a lot . I’ve been using the Wondershare app on my Android phone for similar functionality .. Its one of the finest application developed till date .Thanks for sharing this tutorial as it would help a lot of people finding trouble in getting the8r contacts from computer to their iphone . very informative post dear. with this method we can easily import our contacts from computer to our iPhone. thanks dear for sharing your experience with us. Really nice tutorial for Iphone users. But from the beginning i am the fan of Microsoft so, I am Lumia lover. It is very good when people moving Android to iOS. People can easily backup their android contact and then transfer it to iPhone via computer as you suggest. Nice tips thanks for sharing. Very helpful article! But does this also work with Apple computers?? It helped me out as well! I never tried this before..
Oh! its really a great trick. I think this post would be helpful for all. To promote the real estate business this post is much more effective. keep it up. I think with this method we can easily import our contacts from computer to our iPhone. thanks dear for sharing your experience with us. It’s very good,helpful when people moving from Android to iOS they can easily backup their android contacts and then transfer it to an iphone via computer . great tip!! Very very nicely nice explained in this article.I was myself searching for this solution of contacts from last two months.Thanks for posting this article with us. I’ve been utilizing the Wondershare application on my Android telephone for comparative purpose .. Its one of the finest provision created till date .Thanks for imparting this excercise as it might help many individuals discovering inconvenience in getting the8r contacts from workstation to their iphone . I think in this article,nice tips shared. I really like and appreciated your work. cool.. 🙂 nice and useful info. nice post dude, I like the fonts you used on this blog, Tell me, how much time it’ll take so that the transfer is completed. i think this is really a great solution for the contacts related problems…. 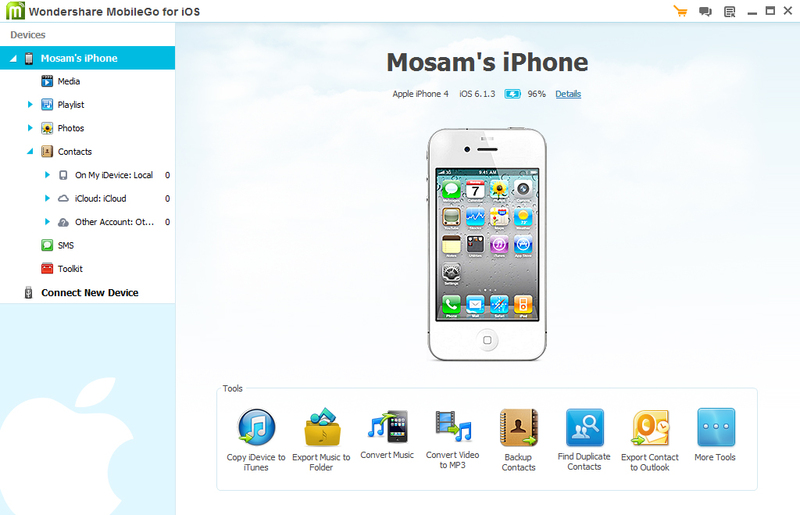 If you want to sync your contacts to IPHONE or any IDEVICE you must have the “ITUMES “software in your PC or MAC . Back up your contacts to PC befour,and you are on the go. You can Back up your CONTACTS TO GOOGLE,and SYNC IT WITH YOUR IDEVICE. Realy good stuff for IPhone user .. we must have to admire this. thanx for sharing with us. Thanks for the post , i did help me . Well, I really liked this post, I just now got new iPhone (my dream came true) and your this post made my life a lot easy. Thanks for your tutorial i was looking for completed instructions… and your instructions made it easy..
What a wonderful hidden Software is this Wondershare MobileGo for iOS.